Workplace conflict is inevitable. Everything DiSC Productive Conflict helps learners improve self-awareness around conflict behaviours. Rather than focus on a step-by-step process for conflict resolution, Everything DiSC Productive Conflict helps learners curb destructive behaviours so that conflict can become more productive, ultimately improving workplace results and relationships. By increasing self-awareness around conflict behaviours, Everything DiSC Productive Conflict helps learners effectively respond to the uncomfortable and unavoidable challenges of workplace conflict. Take a look at a sample report. Everything DiSC Productive Conflict defines how each of the DiSC styles handles workplace conflict, by defining both destructive and productive tendencies. Participants will discover their own behaviours and examine how to improve their personal approach to conflict. Colleagues will do the same. All participants will then come together to learn how best to work with different styles. It’s a powerful tool. 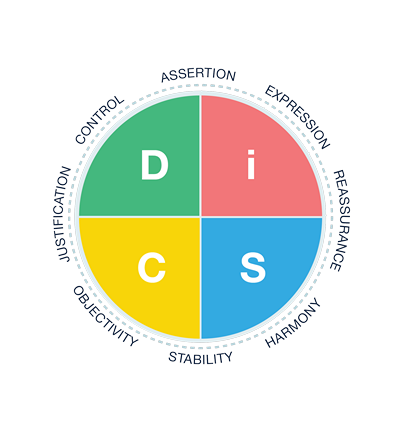 “By focusing on self-awareness of destructive thoughts and behaviours, Everything DiSC Productive Conflict helps participants choose more productive responses, ultimately improving workplace results and relationships.” – Susie Kukkonen, VP, Wiley. Conflict is inevitable. Productive conflict is a learnable skill.